Seeking an executive resume writing partner for that next step in your career? 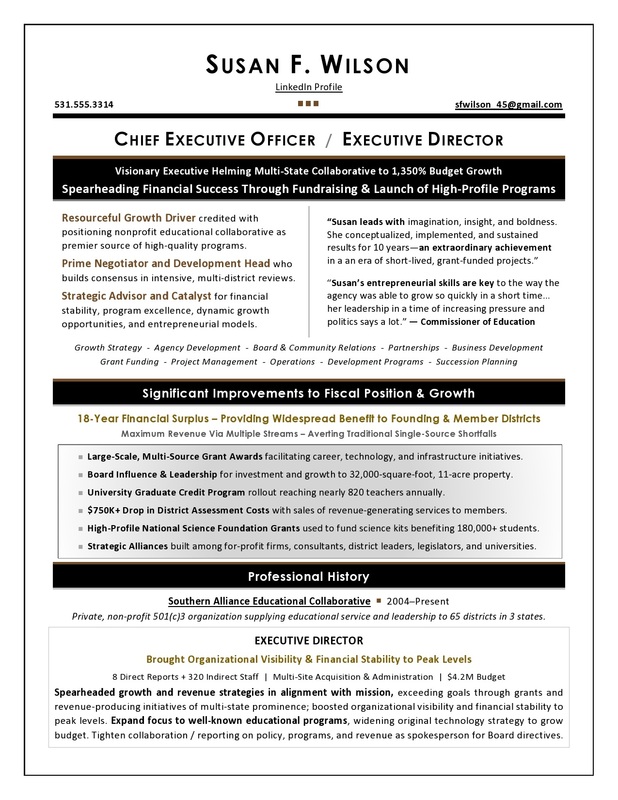 I develop powerful SVP and executive resumes (like this example), using personal branding strategy to position you as the obvious choice. 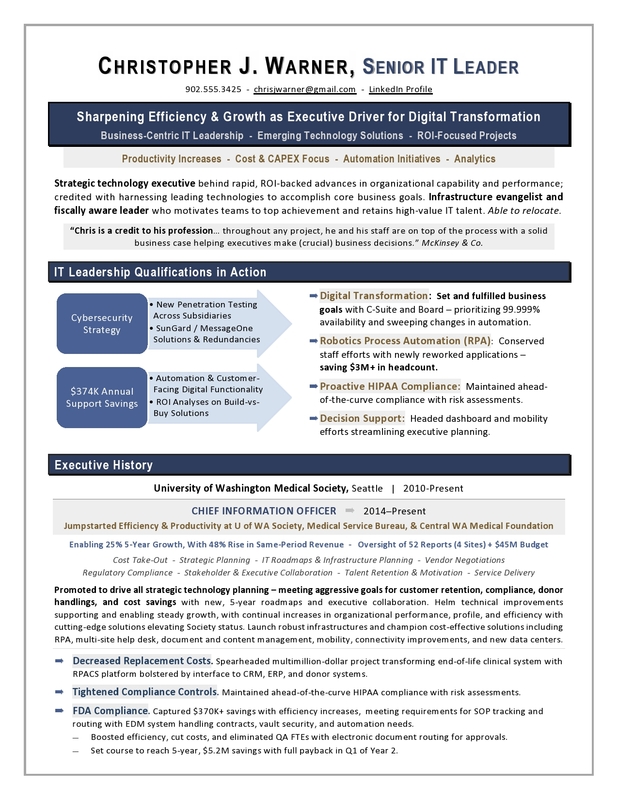 This VP Business Development resume won numerous interviews by conveying a strong value proposition and message of ROI for his work in technology sector sales. Want results like these? Contact me for a no-obligation, confidential review of your needs. 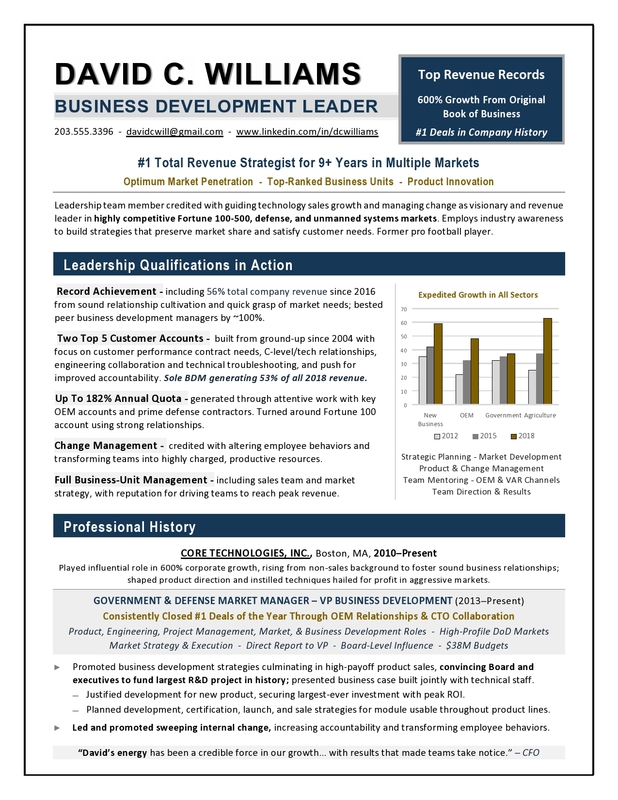 This interview-winning, real-life VP Business Development resume is shown below. What makes my sales leadership resume writing service the best choice for you? My clients experience OUTSTANDING results and increased confidence as a result of my services. I know the qualities that employers seek – and many sales executives miss – that can make or break a hiring decision. If you struggle to articulate your value and achievements, consider the difference working with a highly qualified, Certified Executive Resume Writer and former recruiter can make in your career. You’ll benefit from a compelling, accomplishment-driven resume and LinkedIn Profile that compels hiring authorities to select you as the top candidate! Contact me to find out how to win more interviews with expert career marketing services. I look forward to discussing your needs in detail. As a prominent executive resume writer, Laura Smith-Proulx offers executive resume writing services to EVP, SVP, and VP of Business Development and Sales candidates – as well as CRO, CEO, CTO, CIO, COO, CFO, and other leaders.